Providing the perfect blend of skyscrapers and safaris, Nairobi has become a 21st century Mecca for adventurers. Travellers can black rhino or elephants in Nairobi National Park, which lies just outside the modern cityscape. Red robed Masai warriors stroll through the streets side-by-side with well-dressed business men, making the melting of different cultures glaringly apparent. And while visitors can find a lot of humility around the city, there is also a growing luxury scene that blooming as the wealth continues to pour into the city. Nairobi can be an adventurous experience for the serious shopper. The diverse arts and crafts from the African continent are well represented there through the diverse cultures it attracts. There is also a number of covetable other Africa-inspired objects present in the marketplaces and little boutique stores. 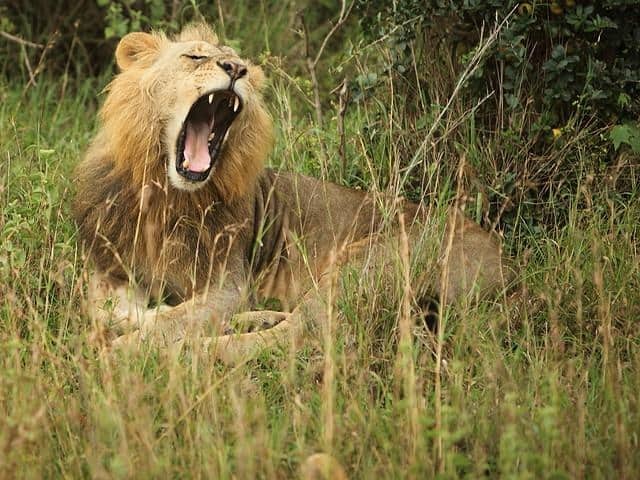 While in the past, this may have been a hotspot to find goods poached from animals, Kenya has really cracked down on poachers so that sort of items is not found in Nairobi anymore. Instead, they have found a strong focus in sustainable and eco-friendly practices in their products. For eclectic shopping, visitors will want to head to the crowded marketplaces. Vendors there primarily only accept cash and are keen to accept foreign currency. Within these markets, visitors can find art, clothing, furniture and crafts from all over Africa. For the fashionistas looking to find something traditionally African, they can pick up a kikois or kangas made from traditional fabrics for Kenyan women. However, the colourful sarongs are equally as alluring, especially for women thinking of heading to the beach. Shrewd art collectors make Nairobi a frequent stop as many of the artists and sculptors from the city are beginning to make it big on the international circuit. Whether discerning visitors are looking for work from the next big artist or just want something nice to hang in their living room, they will be overwhelmed by choice. 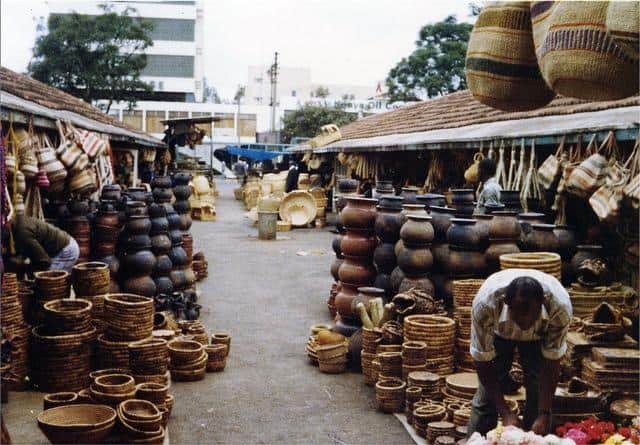 From paintings of Masai warriors leaning on their spears, lions ponderously licking their lips or lazy leopards lounging under a tree, the markets and galleries around Nairobi boast a variety of different styles. Millions of people flock to Kenya to take in a safari, but when in Nairobi visitors barely need to leave the city to enjoy one. Nairobi National Park is one of the only wildlife parks in the world that visitors can take a city taxi to with ease. Within national park confines, visitors can tour around with guides or on their own in jeeps to view an impressive array of African wildlife. Inside the park, lions, cheetahs, leopard, buffaloes, hippos, zebra, giraffes, gazelles and more lurk around every corner. Visitors should take time out of their safari schedule to visit the David Sheldrick Wildlife Trust inside the park. Every day at noon, visitors can watch the keepers take care of orphaned baby animals. These workers handle feeding, grooming and socialization of the animals and also aid baby rhinos and elephants in their mud baths. Those that just don't want the safari to end can stay in the Giraffe Manor Hotel. This is one of the most unique hotels in the world, where visitors can open up bedroom windows and be face-to-face with giraffes roaming free. Tea is a major cash crop in Kenya; it’s ranked as the third highest producer behind China and India. Most of the tea produced and drank within Kenya is black tea, while green, yellow and white tea is produced primarily for sale and not widely served within the country. 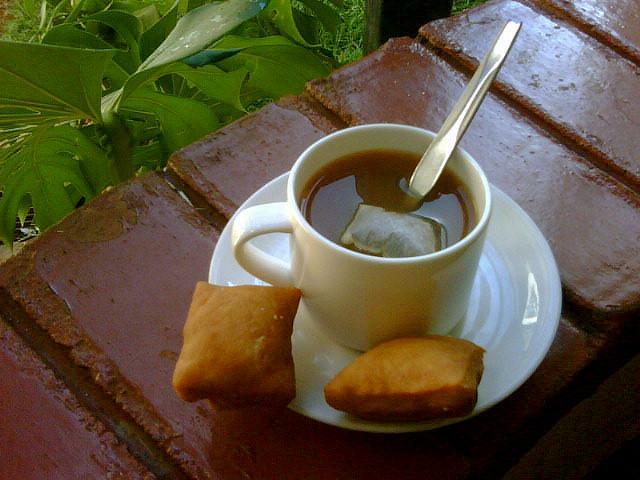 While in Kenya's capital, why not take time out of your busy schedule and have a cup? Much of the tea drank in Nairobi comes from the nearby Kiambethu Tea Farm, which is 40 minutes outside the heart of the city. This tea farm is open for tours where visitors can get an up close and personal view of how the tea they are drinking in the country is grown, harvested and processed. Of course they will get a cup of freshly brewed tea at the end of their tour as well. For those that don't want to wander outside of the city for a cup of tea, there are a number of cafes and tea houses within the city itself. The Nairobi Java House is the most popular stop of tea and coffee within the city. Visitors can have their tea prepared the traditional Kenyan way with milk and sugar (a taste they adapted from European colonists) or order it plain to enjoy the unique aroma and flavour of the drink. 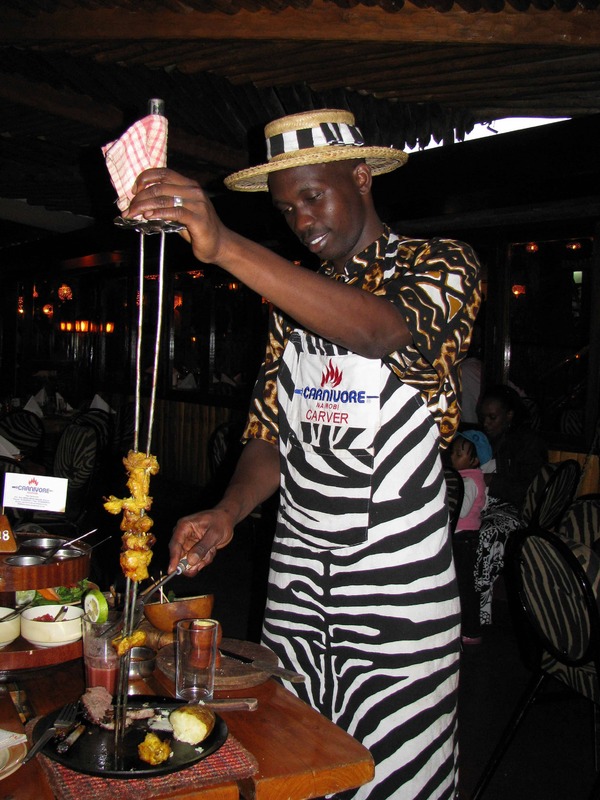 The singularly most popular restaurant in Nairobi is The Carnivore. The restaurant offers a beast of a feast in store for visitors. Their meats are pinned onto a Masai spearhead and roasted over an open fire in the centre of the restaurant. However, it is not just the usual fare of chicken, beef and pork on the grill, but rather more exotic meats like ostrich, crocodile, buffalo and the occasional camel. This is a must stop for the adventurous eater, but many find the sheer number of animals on their menu a bit off-putting. Ali Barbour's Cave offers equally exciting fare but with tamer ingredients. Visitors will find this restaurant, as the name suggests, in a naturally formed cave underground. They offer a wide range of seafood and meat dishes that are prepared with flavourful African spices. Diners cannot go wrong with their crab salad marinated with lemon and chilies or their smoked sailfish with horseradish. Whatever diners decided to dine on, the atmosphere of a romantic cave lit only with candles certainly won't dampen their experience. There are a number of hotels within Nairobi to fit the unique needs of their diverse amount of visitors. Some of them are modern marvels while others are older establishments with colonial charm. For those searching for a historical and romantic stay, they will find it at the House of Waine Hotel. This family-owned boutique hotel is set in the middle of lush gardens just 20 minutes from downtown Nairobi. The colonial ambiance of the hotel moulds perfectly with modern luxury. Each of their rooms is unique in its decor, but they all host vivid colours and elegant furniture with marble bathrooms. With the Karen Blixen Museum just next door, guests won't be far from some great attractions. For those that want to be closer to the number of restaurants and shopping centres in the Westlands, the Sankara Nairobi Hotel is a stylish city hotel located by a number of activities. The rooms and lobby are decorated with a number of striking pieces of contemporary East African artwork that is paired with comfortable furnishings and panoramic views of the city outside. The hotel also hosts a deli during the day and a wine bar during the night. However, they also host a rooftop pool and the exquisite Angsana Spa for those who need to unwind.